I’ll admit right off the bat, our family chooses not to stress out about academic studies. 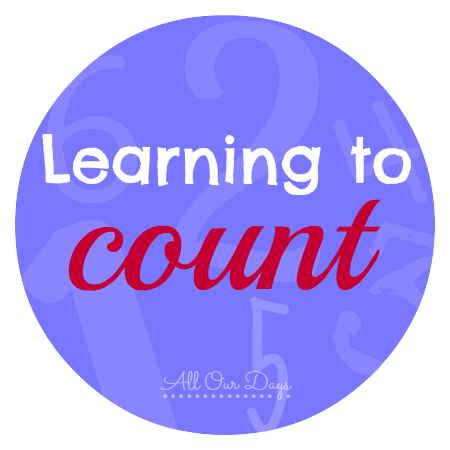 The way we approach math, especially basic counting is evidence of our conviction that the majority of early learning happens during regular, everyday life. When our oldest was little, I printed off lots of preschool printable packs and spent time counting pictures on a piece of paper or little plastic bears (and that worked great for us then). However, as we added more children to our family and life became busier we gradually started incorporating counting more into our normal routines. Instead of taking time to manufacture an opportunity to count, simply weave it into your normal day. 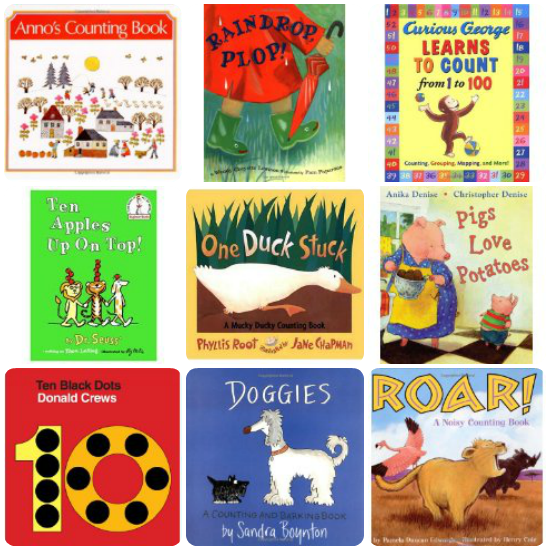 To help our kids relate the oral numbers to their written forms, we also incorporate lots of counting books into our regular reading. We start out by reading the page then we point to each item as we count them. Once we’ve counted we finish by saying there are _______ items. After a few times modeling this, our kids start counting with us as we use their finger to point to each item. Before too long they are counting them all on their own. Do you kids like counting things around the house? 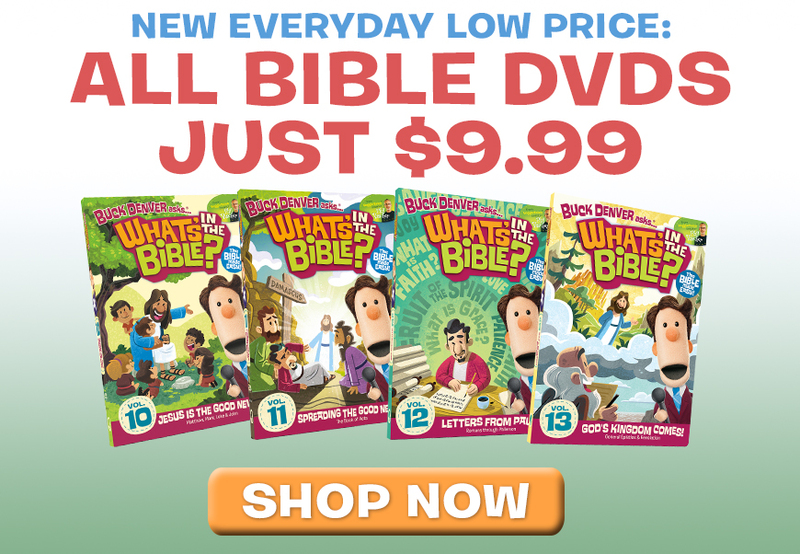 Do they (or you) have a favorite counting book? How did you teach your little ones to count and recognize numbers? Tell us about it in the comments. great suggestions! We love 10 Black Dots! These are some great (and easy) tips! We do the exact same things! We’ve even started working on subtracting in this way, we’ll count the fork as she empties the dishwasher then count how many are left. When I was growing up, on road trips, my father and I would play this game where he would recite a long math equation and I had to keep up with, something like, 10 times 3, minus 4, divided by 2…. What a great idea! Great post! I love the many topics that everyone is sharing! As a teacher, I think you’ve got a great approach. Enjoy your precious family!